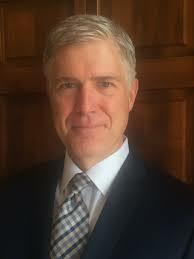 President Trump's nomination for Supreme Court is Justice Neil Gorsuch. He is a good choice and people with disabilities should be pleased. Judge Gorsuch's 2009 book THE FUTURE OF ASSISTED SUICIDE AND EUTHANASIA sets out clear legal and ethical arguments against assisted suicide. 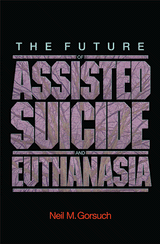 "The Future of Assisted Suicide and Euthanasia provides the most thorough overview of the ethical and legal issues raised by assisted suicide and euthanasia--as well as the most comprehensive argument against their legalization--ever published." "In clear terms accessible to the general reader, Neil Gorsuch thoroughly assesses the strengths and weaknesses of leading contemporary ethical arguments for assisted suicide and euthanasia. He explores evidence and case histories from the Netherlands and Oregon, where the practices have been legalized. He analyzes libertarian and autonomy-based arguments for legalization as well as the impact of key U.S. Supreme Court decisions on the debate. 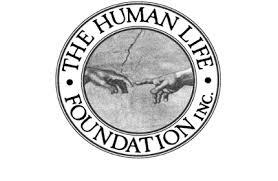 And he examines the history and evolution of laws and attitudes regarding assisted suicide and euthanasia in American society." "After assessing the strengths and weaknesses of arguments for assisted suicide and euthanasia, Gorsuch builds a nuanced, novel, and powerful moral and legal argument against legalization, one based on a principle that, surprisingly, has largely been overlooked in the debate--the idea that human life is intrinsically valuable and that intentional killing is always wrong. At the same time, the argument Gorsuch develops leaves wide latitude for individual patient autonomy and the refusal of unwanted medical treatment and life-sustaining care, permitting intervention only in cases where an intention to kill is present." As a North American advocate for Life and disability issues I applaud the President's pick for the U.S. Supreme Court. Legalization and public acceptance of assisted suicide sets back hard-won gains for disability rights, inclusion, and equality. The disabled of America should be thrilled with President Trump's nomination. Disability rights advocates, and their allies, must now lobby Democrats in Congress to support, not obstruct, this excellent nomination of Neil M. Gorsuch to the United States Supreme Court. Well done President Trump!